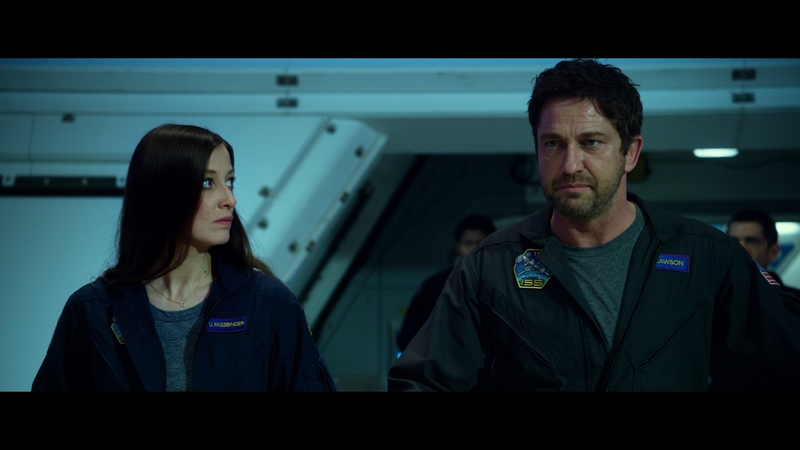 Dean Devlin can't possibly expect us to take Geostorm seriously, can he? The writer/producer/director of the movie, best known for producing some of Roland Emmerich's big-budget flicks such as Independence Day and Godzilla, goes out on his own this time around, and the results are "stunning" to say the least...as in stunningly bad. About 30 minutes into my viewing, I had to ask myself if this was all some sort of joke from Devin, as the movie is not just "bad," but seems to be intentionally trying to be that way - throwing every movie cliché in the book at the viewer. Geostorm stars Gerard Butler (who, after London Has Fallen and Gods of Egypt has officially hit the trifecta of big, loud, and dumb filmmaking) as Jake Lawson, the scientist and engineer behind an elaborate system of weather satellites positioned around the world. You see, it's the near future and climate change has gotten so bad that the citizens of Earth had to develop this system in order to survive. The system of satellites has been dubbed - I kid you not - "Dutch Boy" by its creators, which sounds like something you spray on your furniture to keep it shiny. The name leads to all sorts of laughable dialogue by the actors throughout the story, including my personal favorite: "Somebody's weaponized Dutch Boy!" 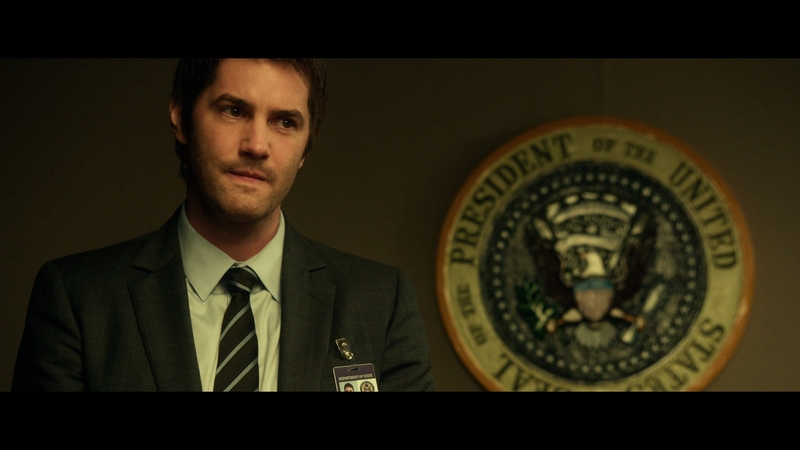 Lawson has been fired from being in charge of the satellites by no less than his brother, Max (Jim Sturgess), after Jake mouths off a bit too much in front of a Congressional committee. 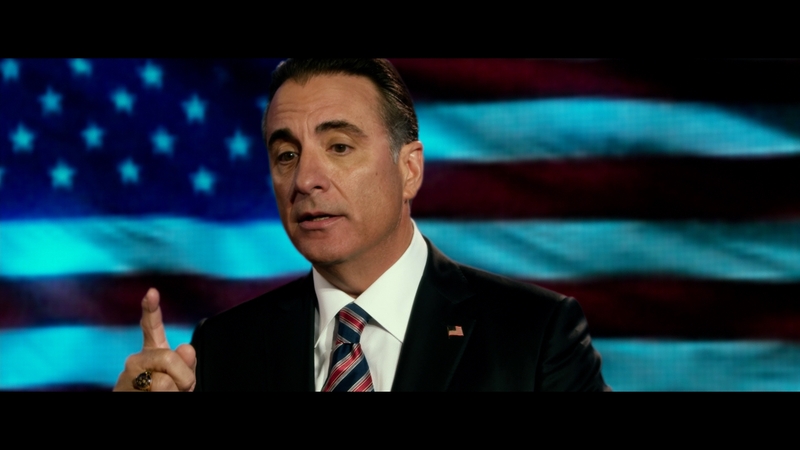 Of course, it isn't too long after his dismissal that Dutch Boy starts to malfunction and the U.S. President (Andy Garcia) tells Max he needs to send his most qualified person up there to figure out what went wrong. No bonus points on guessing who he picks. The movie tries to make some drama out of the sibling rivalry between Jake and Max, but there's so little context for the melodramatics that their conversations just come off as two brothers bickering while the rest of the world is falling apart around them. To his credit, Dean Devlin does try to give Geostorm an international flair, although one bit of plotting really annoyed me: a subplot involving Chinese actor Daniel Wu as a guy in Hong Kong who has some of the pieces to the puzzle of what's going wrong with Dutch Boy. Wu's presence and the Hong Kong events in the movie aren't an attempt to make the story "global" as much as they are an attempt by the filmmakers to capture some of the box office over in China. Sadly, the ploy worked. While Geostorm only made $33 million in North America, it pulled in nearly double that ($65 million) from Chinese audiences - by far the best performance the movie had in any country in which it played. My biggest issue with Geostorm isn't just that it's bad. A lot of movies are bad. It's that it's just illogically stupid at times. For example, Jake Lawson is established as perhaps the most famous scientist/engineer in the world for what he did for the planet. Strangers recognize him. He's a global celebrity. But when Lawson has to go up to meet the crew he'll be taking command of on the space station? No one recognizes him! Gee, you'd think the fact that "Lawson" is printed on his uniform might even nudge these morons (all fellow scientists by the way) in the right direction. There are other scenes that are just as laughable. In one scene, Max is in bed with his girlfriend (and Secret Service agent) Sarah (Abbie Cornish). Sarah is decked out the skimpiest lingerie a PG-13 movie will permit. Max gets a phone call from Cheng (Daniel Wu's character), who says he didn't call earlier with his important info because the phones were out (no one's heard of email or Skype in Hong Kong, apparently). Anyway, Max is on the phone with Cheng for no more than 30 seconds, when Sarah - who has overheard the conversation - arrives in the room completely dressed for work, hair fixed, makeup on, and ready to go. Well, this is a science-fiction movie, I guess. Geostorm is riddled with such scenes. It's a movie where the plot drives the characters, regardless of logic or, quite honestly, physics. But hey, if you just want some big weather-induced action sequences with semi-passable CGI, Geostorm might be the movie you're looking for. After a long day at the office, sometimes we just need to turn our brains off for a while, and this is one title that can do that quicker than most others. Geostorm wreaks havoc on home video in this Blu-ray/DVD/Digital HD release. The 50GB Blu-ray and dual-layer DVD come housed inside an eco-friendly Elite keepcase along with an insert containing a code for a digital copy of the movie. A slipcover with artwork matching that of the keepcase's slick slides overtop. Both the DVD and the Blu-ray are front-loaded with a trailer for Ready Player One, plus a pair of advertisements for the virtual reality games for both Justice League and Fantastic Beasts and Where to Find Them. The DVD also includes a trailer for the upcoming Tomb Raider reboot, Justice League, and Blade Runner 2049. The main menu is the standard Warners' design, with a still image of the movie title and menu selections running across the bottom of the screen. Geostorm was shot digitally on Red Epic Dragon cameras and is presented on home video in the 2.40:1 aspect ratio. The image here is about what I'd expect for a movie shot on the Red Epic Dragon, with some solid black levels throughout, some decent details, and well-defined facial features. A big chunk of this movie involves CGI work, so keep in mind that the level of detail here can be a trade-off, as the F/X is hardly seamless and at times a bit cartoonish. The transfer also has some minor aliasing and a little dose of noise creeping into the background of many scenes; however, only the most discerning eyes will pick up on these glitches and most viewers should be quite happy with what they get here. Despite getting a Dolby Atmos mix for its theatrical exhibition, the featured English track on the Blu-ray is only a 5.1 DTS-HD Master Audio mix, which is kind of a disappointment. While the 5.1 lossless track is certainly serviceable, it really lacks the "oomph" one would expect during the disaster sequences. LFE is used, but again, I felt let down that it wasn't very deep and didn't offer the low-end rumblings one would expect. That said, there's really no glitches here, either. Dialogue is crisp (and front-loaded) throughout and the track is free of any apparent glitches - I just wish it was more aggressive, given this movie's content. In addition to the 5.1 lossless English track, an English Dolby Digital 5.1 Audio Description track is also available, as are lossy 5.1 Dolby Digital tracks in Spanish, French, and Portuguese. Subtitles are an option in English SDH, Spanish, French, and Portuguese. Wreaking Havoc (HD 6:30) - This featurette features Writer/Director/Producer Dean Devlin and other members of the crew talking about the special effects of Geostorm and the ideas behind what viewers see in the finished movie. The Search for Answers (HD 4:13) - This is a standard behind-the-scenes featurette with Dean Devlin and members of the cast discussing the story of the movie and the roles the actors play. An International Event (HD 5:40) - Dean Devlin and other members of the cast and crew discuss how they wanted the movie to contain an international cast and have a message and story that related to international audiences. Either Geostorm is intended to be a joke or the joke is on us. Either way, it's a tremendously bad movie, although in a gloriously laughable way, so I suppose it offers some entertainment from that vantage point. With a ridiculous plot, horribly written pieces of dialogue, and actors who appear to think that they're in a better movie than they actually are, this disaster flick at least delivers on the "disaster" aspect. Skip it.